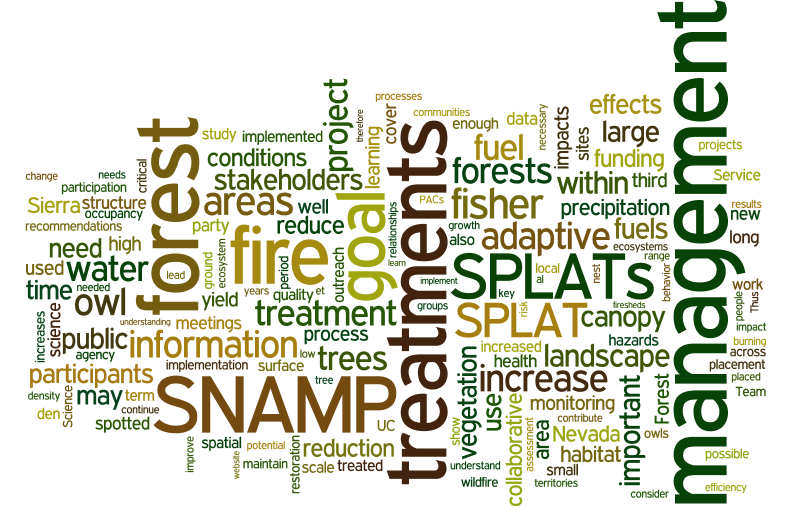 Word cloud from our 31 recommendationsThe Sierra Nevada Adaptive Management Project is a joint effort by the University of California, state and federal agencies, and the public to study management of forest lands in the Sierra Nevada. 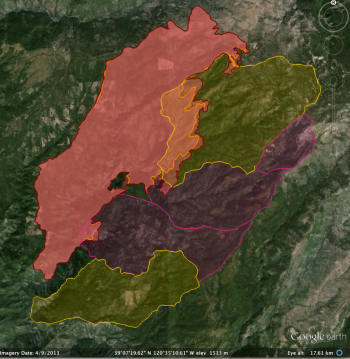 This 10-year project to investigate the effects of vegetation management treatments implemented by the Forest Service on fire risk, wildlife, forest health, and water in two areas in the Sierra Nevada, in the Sierra National Forest and the Tahoe National Forest. A lasting solution to forest management must engage stakeholders and promote active public participation in all phases of the process, including the development, interpretation, and incorporation of research-based information in the adaptive management decision making process. My group was involved in both the spatial analysis work and public participation efforts. It has been a great honor to work on this project, as well as being a tremendous learning experience. Two wonderful dissertations from my lab have resulted from this research: Marek Jakubowski and Shufei Lei. So many students and staff worked on the project during its 10 year run: Qinghua Guo was instrumental to the project from UC Merced; Ken-ichi Ueda began work on the website in the early years of the project; Shasta Ferranto added years of insightful work on the public participation team; everyone in the lab participated in some way to the outcomes; and we all learned so much and made tremendous networks of expertise and knowledge across the state. For papers from the SNAMP project, see here. For papers from the SNAMP project at large, see here. More Information: Please check out our website (we are also on Facebook): http://snamp.cnr.berkeley.edu/. The following forest management recommendations consider the SNAMP focal resources (forest, water, wildlife), as well as public participation, as an integrated group. These recommendations were developed by the UC Science Team working together. Although each recommendation was written by one or two authors, the entire team has provided input and critique for the recommendations. The entire UC Science Team endorses all of these integrated management recommendations. Click at the bottom of the post for the full description of each recommendation. 1. If your goal is to reduce severity of wildfire effects, SPLATs are an effective means to reduce the severity of wildfires. 2. If your goal is to improve forest ecosystem health, SPLATs have a positive effect on tree growth efficiency. 3. If your goal is to integrate across firesheds, an accurate vegetation map is essential, and a fusion of optical, lidar and ground data is necessary. 4. If your goal is to understand the effects of SPLATs, lidar is essential to accurately monitor the intensity and location of SPLAT treatments. 5. 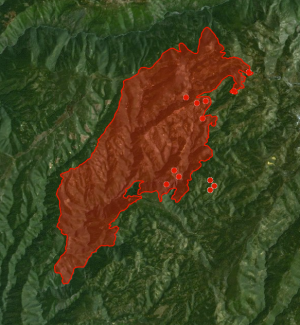 If your goal is to maintain existing owl and fisher territories, SPLATs should continue to be placed outside of owl Protected Activity Centers (PACs) and away from fisher den sites, in locations that reduce the risk of high-severity fire occurring within or spreading to those areas. 6. If your goal is to maintain landscape connectivity between spotted owl territories, SPLATs should be implemented in forests with lower canopy cover whenever possible. 7. If your goal is to increase owl nest and fisher den sites, retain oaks and large conifers within SPLAT treatments. 8. If your goal is to maintain fisher habitat quality, retention of canopy cover is a critical consideration. 9. If your goal is to increase fisher foraging activity, limit mastication and implement more post-mastication piling and/or burning to promote a faster recovery of the forest floor condition. 10. If your goal is to understand SPLAT effects on owl and fisher, it is necessary to consider a larger spatial scale than firesheds. 11. If your goal is to detect increases in water yield from forest management, fuel treatments may need to be more intensive than the SPLATs that were implemented in SNAMP. 12. If your goal is to maintain water quality, SPLATs as implemented in SNAMP have no detectable effect on turbidity. 13. If your goal is to increase acceptance of fuel treatments, employ outreach techniques that include transparency, shared learning, and inclusiveness that lead to relationship building and the ability to work together. 14. If your goal is the increased acceptance of fuel treatments, the public needs to understand the tradeoffs between the impacts of treatments and wildfire. 15. If your goal is to establish a third party adaptive management project with an outside science provider, the project also needs to include an outreach component. 16. If your goal is to develop an engaged and informed public, you need to have a diverse portfolio of outreach methods that includes face to face meetings, surveys, field trips, and web-based information. 17. If your goal is to understand or improve outreach effectiveness, track production, flow, and use of information. 18. If your goal is to engage in collaborative adaptive management at a meaningful management scale, secure reliable long term sources of funding. 19. If your goal is to maintain a successful long-term collaborative adaptive management process, establish long-term relationships with key people in relevant stakeholder groups and funding agencies. 20. If your goal is to maximize the value of SPLATs, complete treatment implementation, especially the reduction of surface fuels. 21. If your goal is to efficiently reduce fire behavior and effects, SPLATs need to be strategically placed on the landscape. 22. If your goal is to improve SPLAT effectiveness, increase heterogeneity within treatment type and across the SPLAT network. 23. 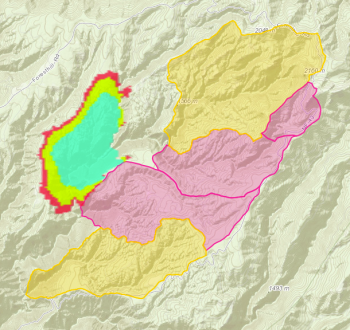 If your goal is to restore Sierra Nevada forest ecosystems and improve forest resilience to fire, SPLATs can be used as initial entry, but fire needs to be reintroduced into the system or allowed to occur as a natural process (e.g., managed fire). 24. If your goal is to manage the forest for long-term sustainability, you need to consider the pervasive impacts of climate change on wildfire, forest ecosystem health, and water yield. 25. If your goal is to enhance landscape habitat condition for owl and fisher, hazard tree removal of large trees should be carefully justified before removing. 26. If your goal is to minimize the effects of SPLATs on fisher, SPLAT treatments should be dispersed through space and time. 27. If your goal is to optimize water management, consider the range of potential fluctuations in precipitation and temperature. 28. If your goal is to implement collaborative adaptive management, commit enough time, energy, and training of key staff to complete the adaptive management cycle. 29. The role of a third party science provider for an adaptive management program can be realized in a variety of ways. 30. If the goal is to implement adaptive management, managers must adopt clear definitions and guidelines for how new information will be generated, shared, and used to revise subsequent management as needed. 31. If your goal is to increase forest health in the Sierra Nevada, we now know enough to operationalize some of the aspects of SNAMP more broadly. The SNAMP UC Science Team worked together to develop 31 integrated management recommendations at the conclusion of our SNAMP project. The following deal specifically with lidar and vegetation mapping. All 31 can be found here. All our SNAMP spatial publications can be found here. If your goal is to integrate across firesheds, an accurate vegetation map is essential, and a fusion of optical, lidar and ground data is necessary. Lidar data can produce a range of mapped products that in many cases more accurately map forest height, structure, and species than optical imagery alone. Our work indicated that the combination of high-resolution multi-spectral aerial/satellite imagery with lidar is very helpful in mapping vegetation communities as well as characterizing forest structure zones. If your goal is to understand the effects of SPLATs, lidar is essential to accurately monitor the intensity and location of SPLAT treatments. 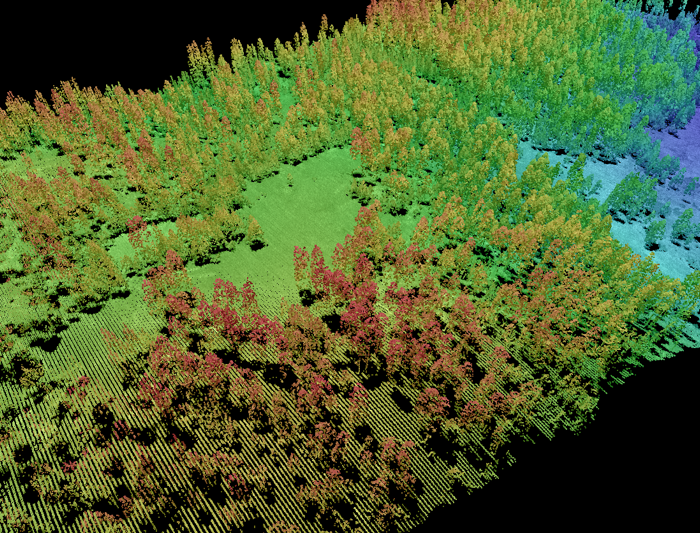 Lidar data can effectively penetrate the forest canopy and can be used to accurately detect forest understory changes. Our work indicated that the use of lidar-derived vegetation structure products (e.g., canopy cover and vegetation height) significantly outperformed the aerial image in identifying the SPLAT treatment extent and intensity. Despite some not-very-flattering-but-taken-with-really-rad-tintype-photography pictures of us all, this is an interesting article that focuses on our public participation in the SNAMP project. We are starting to do some retrospectives of the SNAMP program. Just to get going, here are our participants visualized from two different angles: in person and online. The in person numbers (left) come from meeting attendance from the project; the online numbers (right) come from the previous year's hits from Google Analytics. The meeting attendance is far greater, but we get more of the southern California audience from the website. Check it out! our recent paper on the SNAMP website is featured in the green blog. What is "success" with post-disaster crowdsourcing? 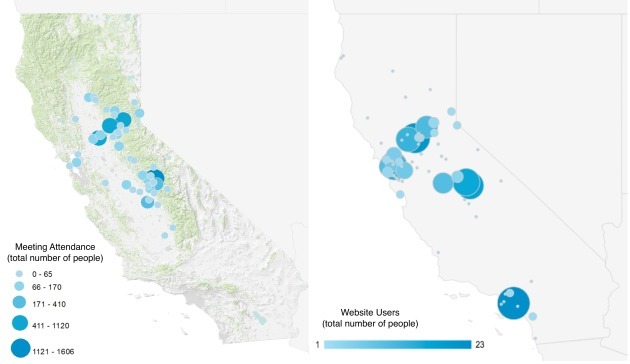 At a recent workshop I gave on webGIS, after giving an overview of some of the recent uses of crowdsourced and VGI in disasters (fire in San Diego, earthquake in Christchurch, Ushahidi everywhere...), I was asked about success of these projects. Who used the data? How? (and who funded these websites, but that is another story.) And I had only the vaguest of answers. Here is a thoughful critique on this subject by Paul Currion on MobileActive.org. He examines the use of the Ushahidi project in Haiti. Paul is an aid worker who has been working on the use of ICTs in large-scale emergencies for the last 10 years. He asks whether crowdsourcing adds significant value to responding to humanitarian emergencies, arguing that merely increasing the quantity of information in the wake of a large-scale emergency may be counterproductive. Why? because aid workers need clear answers, not a fire-hose of information. Information from the crowd needs to be curated, organized, targeted for response. He makes the point that since crowdsourced data is going have to be sorted through, and can be biased, and can be temporary, aid agencies are going to have to carry out exactly the same needs assessments that they would done without the crowdsourced information. Where and when do crowdsourced data add value to a situation or project? How can we effectively deal with the bias in the data that comes naturally? We deal with this all the time in my smaller web-related projects: oakmapper and snamp for example. What is the future role of the web for adaptive forest management for example? How do these new collaborative and extensive tools help us make important decisions about natural resources management in often contentious contexts? More to think about. The SNAMP spatial team and the cool lidar work we are doing was recently featured in ANR's Green Blog. The article highlights the work of UC Merced in forest visualization. Currently, most visualization software packages focus on one forest stand at a time (hundreds of acres), but now we can visualize an entire forest, from ridge top to ridge top. 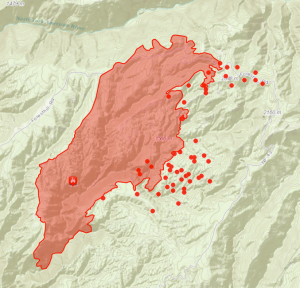 The Sierra Nevada Adaptive Management Project (SNAMP) Spatial Team principle investigators Qinghua Guo and Maggi Kelly, and graduate student Jacob Flanagan and undergraduate research assistant Lawrence Lam have created cutting-edge software that allows us to visualize the entire firescape (thousands of acres). ASPRS 2012, held in Sacramento California, had about 1,100 participants. I am back to being bullish about our organization, as I now recognize that ASPRS is the only place in geospatial sciences where members of government, industry, and academia can meet, discuss, and network in a meaningful way. I saw a number of great talks, met with some energetic and informative industry reps, and got to catch up with old friends. Some highlights: Wednesday's Keynote speaker was David Thau from Google Earth Engine whose talk "Terapixels for Everyone" was designed to showcase the ways in which the public's awareness of imagery, and their ability to interact with geospatial data, are increasing. He calls this phenomena (and GEE plays a big role here): "geo-literacy for all", and discussed new technologies for data/imagery acquisition, processing, and dissemination to a broad public(s) that can include policy makers, land managers, and scientists. USGS's Ken Hudnut was Thursday's Keynote, and he had a sobering message about California earthquakes, and the need (and use) of geospatial intelligence in disaster preparedness. Berkeley was well represented: Kevin and Brian from the GIF gave a great workshop on open source web, Kevin presented new developments in cal-adapt, Lisa and Iryna presented chapters from their respective dissertations, both relating to wetlands, and our SNAMP lidar session with Sam, Marek, and Feng (with Wenkai and Jacob from UCMerced) was just great! Public interaction with imagery and data are critical. The Public can be a broader scientific community, or a an informed and engaged community who can presumably use these types of data to support public policy engagement, disaster preparedness and response. Thanks Marek! Flying into our northern SNAMP field site via landsat to lidar. New article in the UC Green Blog on our SNAMP project, written by Kim Ingram. Includes some great field pics! The University of California Cooperative Extension (UCCE) recently co-hosted a field trip with the U.S. Forest Service to view the implementation of a forest fuels reduction project on the Tahoe National Forest. Over 45 stakeholders, including representatives of state, federal, and local government, industry and environmental groups and local residents attended to see the project, known as the "Last Chance Project," which involves thinning the forest by removing small and medium-sized trees, masticating or mowing down brush, and burning dead material through prescribed fire. 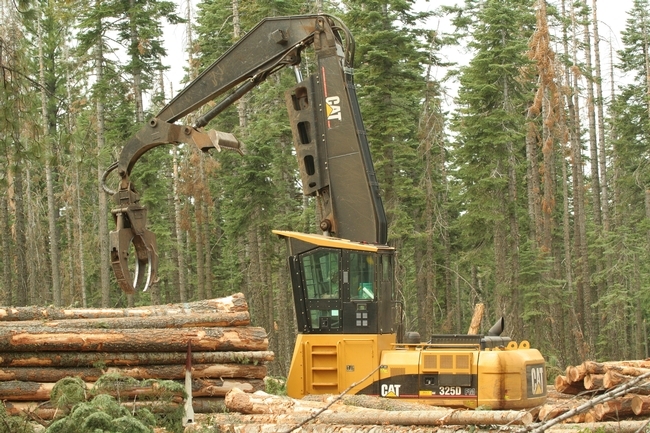 The work, being done by Sierra Pacific Industries, under contract to the U.S. Forest Service, should be completed by fall 2012. This is an exerpt from our recent SNAMP newsletter on our lidar work, written by me, Sam, and Qinghua. We are using Lidar data to map forests before and after vegetation treatments and measuring forest habitat characteristics across our treatment and control sites. These data will give us detailed information about how forest habitat was affected by fuel management treatments. The image at left is not a photograph: it is a computer generated image of our SNAMP study area, using only Lidar data. These kinds of visualizations are commonly used in the forestry field for stand and landscape management, and to predict environments into the future. But visualization software packages usually only focus on one stand at a time. Our method allows us to visualize the whole firescape. This is useful for understanding the complexity in forest structure across the landscape, how the forest recovers from treatments, and how animals with large home ranges might use the forest. The UC Merced team created this cutting-edge product. In order to see the trees in the forest, the UC Merced spatial team researchers developed a method to segment individual trees from the Lidar point cloud. The method identifies and classifies trees individually and sequentially from the tallest tree to the shortest tree. We tested this method on our SNAMP Lidar data. These forests are complex mixed coniferous forests on rugged terrain, and yet our method is very accurate at defining individual tree shapes. We are applying the method in both of the SNAMP study areas. The UC Berkeley spatial team researchers used some new techniques that help distinguish individual features, and mapped the logs, as well as some of the trees in this stand. 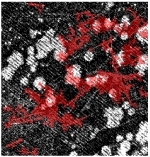 In the figure at left: red colors are logs, green colors are trees. More information on these and other projects can be found on the SNAMP website.